Ep #204 – Donna Gates – Gives Digestive, Cleansing & Candida Tips For Those Who Have Done It All! Donna Gates is the head of bodyecology.com and primarily works on creating awareness of gut health. She’s also the author of The Body Ecology Diet. Proper gut health is critical for life. We’ve heard it said over the years that all disease begins in the colon. People don’t realize how important intestinal health really is. When we lose the ability to digest our food, it becomes impacted and caked onto the colon walls. Over time this “mucoid plaque” builds up and eventually impairs the ability for your villi to absorb the nutrients from the food. The nutrients from the food should be eaten by beneficial bacteria (gut flora) and then biologically trans-mutated into energy that should be able to pass through the intestinal villi. The villi are only so long and if they’re gunked up (that’s a scientific term) with mucoid plaque you simply cannot get any minerals or vitamins from the food you are eating (no matter how healthy it is for you). Over time it’s possible to create a situation where larger molecules of food particles enter the blood stream and your body creates an inflammatory histamine response that can lead to food allergies. It really is true the saying from Squatty Potty, “happy colon, happy life”. Cleansing (like doing coffee enemas or colon cleanses), detoxification, and rebuilding proper gut flora and the villi in your digestive tract is absolutely critical for living a long healthy disease free life. What I love about Donna Gates is that she focuses on bringing in proper microbiology in the form of fermented foods. We cannot live without bacteria. Eating foods like kimchi, sauerkraut, kefir, yogurt and kombucha is absolutely a must if you want to repopulate your body with friendly bacteria. She calls our bodies an ecosystem. Some people call the inner ecosystem a microbiome. Often when I’m at the gym or exposed to conventional information they simply refer to our bodies as a machine. I HIGHLY disagree with our bodies being a simple machine. Yes it has functional physical properties that are “like” a machine. But I believe referring to our bodies as a machine perpetuates the allopathic medical model which simply cannot recognize the energetics of the body. Donna also mentioned something really great during this interview. She compared our internal gut flora to the external soil of a plant. The plant is stationary and cannot move. It is attached to the soil through its root system. Our roots are our intestinal villi that live inside of us. Our soil therefore is the food we consume. Because the soil lives internally instead of externally like a plant, we are mobile. We can move around. Essentially we’re like an infolded garden. I loved this analogy that Donna used during this show. Donna also covered a really great question from Lisa. I’m going to post the question below because it was so appropos. 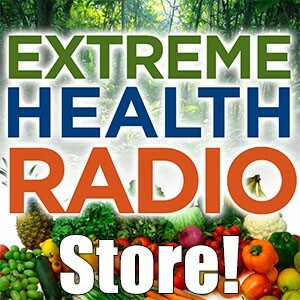 The Extreme Health Radio community of listeners are just incredible. They are so advanced and so amazingly knowledgable. 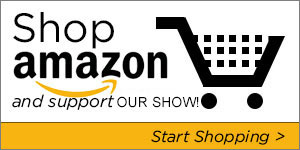 Our listeners (that’s YOU!) 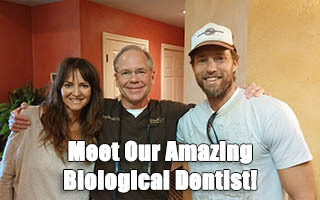 are some of the most advanced cutting edge people you’ll ever meet. You should see some of the emails we get on a daily basis. Hi Donna! This show is so timely. I’m beyond frustrated. I’m a 34 year old female (haven’t had kids yet) and constantly have digestive issues, gas, bloating, upset stomach, intermittent diarrhea and hemorrhoids. It’s frustrating because for the past few years I consume, sauerkraut, milk kefir, bone broths, water kefir, coconut water kefir that I make daily. I take enzymes, hydrochloric acid, l-glutamine, and digestive supplements with my meals. I food combine properly, I don’t combine starches with proteins. I eat a very high raw food diet with minimal animal products. I eat slowly and chew my food well. I take apple cider vinegar and eat an early dinner usually. I don’t eat grains, gluten, dairy, soy or sugar. I do coffee enemas once a week and twice yearly colonics. I eat medicinal mushroom tea for my immune system. I regularly do yoga, meditation, and work on lowering my stress daily. I drink lots of fresh spring water, green juices and get enough sleep but can’t seem to get on track with my digestion. What MORE would you suggest? Donna’s answer will surprise you. Let’s just say it involves the consumption of grains. You might be shocked at what she says in regards to humans eating grains and grain products. We really hope you enjoy this interview with Donna Gates. She was such a joy to talk to. Off the air she was incredibly sweet and kind. What would you expect from somebody doing the kind of work she does? She’s amazing. Please check out her books below and don’t forget to pass this interview on to anybody you know that has digestive issues. Kate and I would greatly appreciate it. People need to know they can heal themselves naturally! Donna Gates, a nutritional consultant, author, and lecturer, has helped thousands of people overcome candidiasis and other immune-system disorders. Drawing on the best of modern medical science, ancient Chinese medicine, and naturopathy-combined with years of firsthand experience counseling clients-she created Body Ecology, her own system of health and healing. Donna regularly appears on radio shows and conducts workshops to educate the public on medicinal foods.